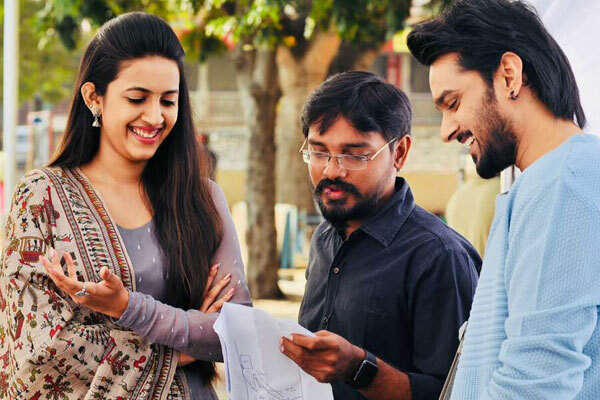 Although attracted to films since childhood, it was Deva Katta’s ‘Prasthanam’ that left a lasting impression on Lakshman Karya, the director of Sumanth Ashwin and Niharika Konidela-starrer ‘Happy Wedding’. So much so that he immediately wanted to learn the ropes of filmmaking from him. “Luckily, it just took one year for me to work under him after I entered the industry,” Lakshman tells telugu360.com. Soon after cameraman Srikanth Naroju, impressed by one of Lakshman’s short films, asked him to be part of his team. Although he was hesitant to begin with as he was nursing direction ambitions, Srikanth assured him that it’d be a good experience for him moving forward. “I’ve joined the camera department for ‘Mogudu’ film,” he avers, adding that as Srikanth was set to shoot ‘Autonagar Surya’ next, he asked him to shoot some videos, which he did. Deva was impressed by them and his editing skills were a bonus but as the director’s team was chock-full by then, Lakshman joined ‘Autonagar Surya’ as a clap assistant. He admits he learnt a lot from Deva. “It is because of him I understood that if the content is good on paper, the resultant product will be good on screen. How many days you spend on a script is more important than how many days you film it,” he asserts, adding that he developed a great rapport with Deva as the shoot went on. But with eight days away from a wrap-up, ‘Autonagar Surya’s shoot came to a standstill. The team moved on to other projects and as Lakshman already had prior experience in TV, he was asked to join the team of show ‘Boothala Deevi’ as a co-director. More shows followed, including the famous ‘Touch Lo Vunte Chepta’ for which he worked as a writer. “It was a super hit show and instead of it being another regular talk-show, I’ve made it funnier, which worked big time,” he points out. Later Deva rang him as he got a green signal from producers of ‘Autonagar Surya’ to complete the pending shoot. “I was the first person to be contacted by him to join him when the film resumed. Since I was freelancing with TV, it was easier for me to get back unlike the other (initial) team members who got busy with other films. From being a clap assistant, I became a first assistant director to Deva garu on ‘Autonagar Surya’,” he flashbacks fondly. 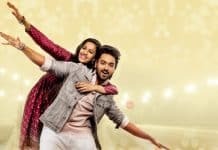 Also featuring Naresh, Indraja, Murali Sharma, Pavitra Lokesh and Tulasi in supporting roles, ‘Happy Wedding’, he says, focuses on the time between engagement and marriage of lovers (played by Sumanth and Niharika). “It’s about how their relationship hits a bumpy ride in the run-up to their wedding due to egos,” he reveals, adding that it has been completely shot in Hyderabad.